Just a couple of miles from New Lanark, where social reformer and philanthropist Robert Owen pioneered his vision of a model community in the 1800s, a modern manufacturer is operating in a similar spirit. 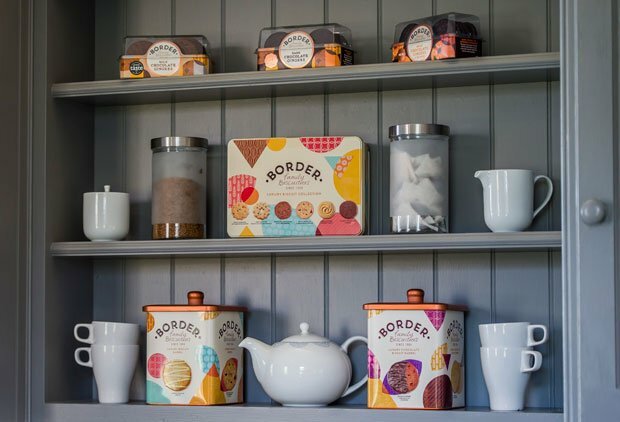 Having started with just four workers back in 1984, Border Biscuits is now one of the area's key employers, with over 150 personnel at their South Faulds Road production facility. That longevity also ensures high standards, with five employees making up a tasting panel that meets regularly to not only sample potential new products, but monitor the continued quality of existing favourites as well. And while there can't be many perks better than being paid to munch your way through a mountain of biscuits, there's plenty more to make the workplace attractive besides. Having introduced the Living Wage for permanent operatives in 2015, the firm then redesigned their production schedules at the beginning of 2018, moving to a five-day operation, to ensure that staff got each weekend off. Maybe it's no surprise then that they've had good cookie-karma in recent years. Firstly they secured a multi-million pound investment in 2016, allowing an overhaul in production and branding. The company then subsequently forced its way into the Scottish Grocer's list of the top 20 biggest food brands in the country, and their chocolate ginger biscuit line has become the top-seller in the UK, outselling all own-label varieties combined, with both of those feats recognised with two prizes at the 2018 Scottish Food & Drink Excellence Awards.